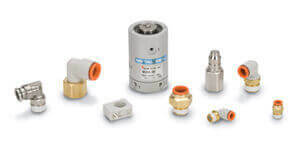 SMC mechanical valves have been designed to meet general industry standards and are capable of long, trouble-free life under stringent operating conditions. The simple construction, utilizing corrosion resistant aluminum die cast bodies with optional heavy duty actuators and Buna N seal design, ensure positive operation and media control. 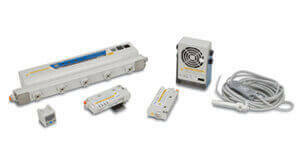 The new VM100/200 series is now more lightweight and compact than the conventional model. 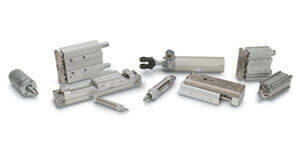 The series has a variety of actuator types to choose from. Also, with piping options of side ported and bottom ported, it is now possible to choose the mounting method with the side ported. 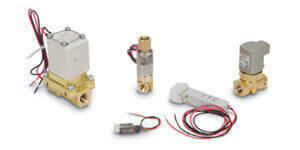 The VZM series is a 5 port mechanical valve. It is compact in design with a large flow capacity (VZM400 Cv 0.55, VZM500 Cv 0.6). The VZM is available in a metal or rubber spool style, with a variety of actuator choices and optional external pilot. 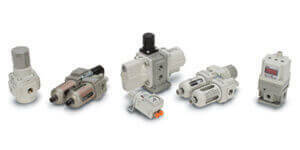 Series VFM is a 5 port, compact, mechanical valve available in a rubber (VFM300) or metal (VFM200) seal style. 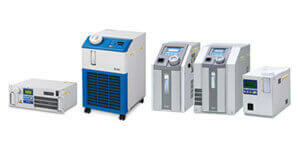 This series has a large flow capacity (Cv 1.0) and a high cycle rate. 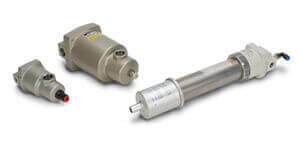 The VFM offers an internal or external pilot body option and a variety of actuator choices. 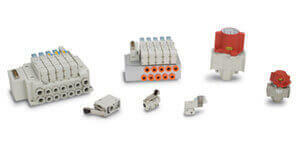 Series VR1210/1200 shuttle valve is a 3 ported valve with one output and 2 pneumatic signal and input ports. Output is always supplied by high pressure inlet. 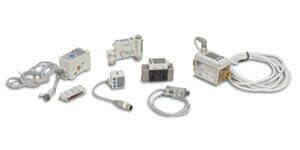 The VR12**F series are interrupters for control of air pressure signal system lines. Piping is possible in any position and the one-touch fittings make piping connections simple. 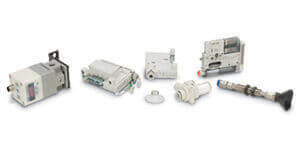 Time delay valve series VR2110 with its combination of adjustable orifice and fixed flow allows transmission of a pneumatic signal after a fixed time period. 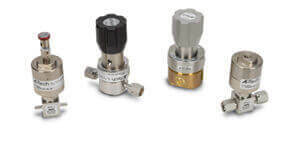 Finger valve series VHK has a large effective area of 2.0 to 17.5mm². This series begins with a minimum tube O.D of ø4. The valve direction clearly indicates whether the valve is open or closed (shut to open is counter- clockwise). Classification of knob by color difference facilitates distinction between 2 port valves (gray) and 3 port valves (blue). The optional flame resistant model's knob, whether using the 2 or 3 port valve, is red. Series VH rotary hand valve's compact design and variety of flow rates make it ideal for a wide range of applications requiring manual directional control. The slide ring design makes the VH valve easy to operate while offering a high tolerance to contamination with its "self-cleaning, wiping action". The VHS series provides a convenient means of isolating supplied pressure in a pneumatic system and exhausting downstream pressure for maintenance purposes. The units can be locked in the exhaust position and can be an integral part of an energy isolation system. Air flow direction is easily identified by handle orientation and labelling. 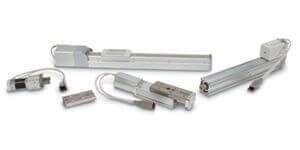 They can be used alone or can be conveniently connected to an FRL assembly using modular spacers. The VHS series is a safety manual switching valve for preventing accidents that could be caused by the residual pressure while performing maintenance service on a pneumatic system. The VHS is easy to operate and the direction of air flow can be verified by the orientation of the handle. The valve is compact yet provides a large capacity.